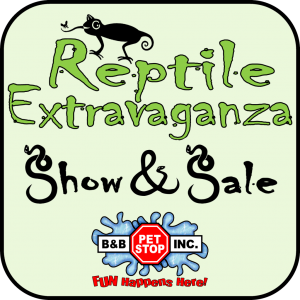 We’ve been hosting Reptile Shows for years, and it’s a GREAT way to see a lot of different creatures all in one place at VERY special prices. We have a guy come from Atlanta with a van-load of reptiles and set up in the front of the store. We invite you to come see, hold, and ask questions. It’s a great EDUCATIONAL opportunity as well as an excellent way to learn which snake, lizard, or spider is the right one for you and your family.